What were the conditions of possibility for art and music-making before the era of neoliberal capitalism? What role did punk play in turning artists to experiment with popular music in the late 1970s and early 1980s? And why does the art and music of these times seem so newly pertinent to our political present, despite the seeming remoteness of its historical moment? 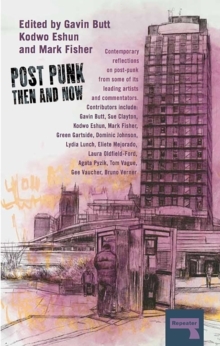 Focusing upon the production of post-punk art, film, music, and publishing, this book offers new perspectives on an overlooked period ofcultural activity, and probes the lessons that might be learnt from history for artists and musicians working under 21st century conditions of austerity.